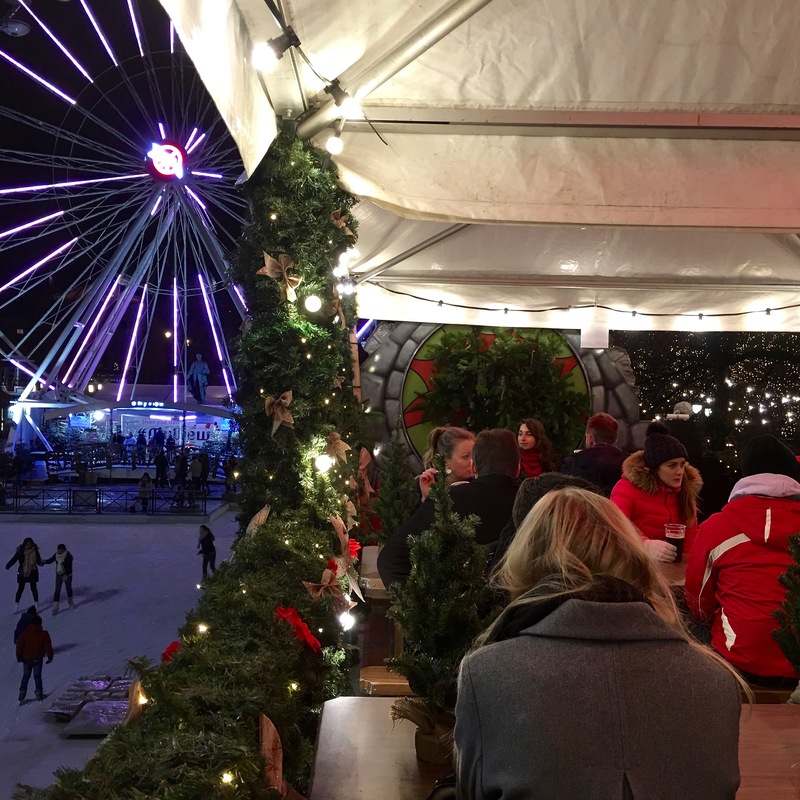 On the day of the Peace Prize ceremony, the Ferris wheel at Oslo’s Christmas Market featured ICAN’s “No Nukes” logo, alternating with an image of the Nobel Prize medallion. At its core, Christmas embodies a message of hope and “Peace on Earth” for the future. It’s a particularly fitting time of year to award the Nobel Peace Prize, an event that Matthew and I look forward to every winter here in Oslo. And this year’s winner, an organization intent on abolishing nuclear weapons, couldn’t be more appropriate. But I’m getting a little ahead of myself. Let me back up for a minute with the historical backstory. Ironically, the Peace Prize was conceived and funded by Alfred C. Nobel, a Swedish armament manufacturer and the inventor of dynamite. Yes, many speculate that the “Merchant of Death,” as he was nicknamed, carried quite a bit of guilt for how he accumulated his millions. 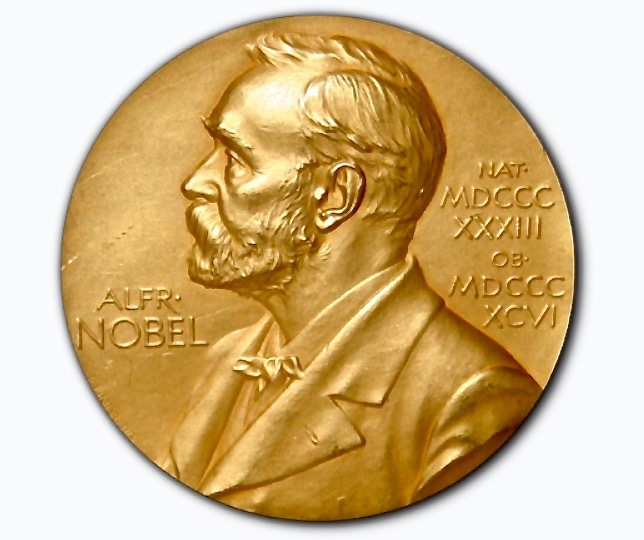 The Nobel Prize categories include Chemistry, Literature, Peace, Physics, and Physiology or Medicine. (The related Nobel Memorial Prize in Economic Sciences was established in 1968 by a donation from Sweden’s central bank, not by Nobel himself.) Nobel winners receive gold medals like this one, and 9,000,000 Swedish kroner, roughy the equivalent of about $1,110,000 U.S. dollars. Sculptor/engraver Erik Lindberg. Perhaps as his own personal form of atonement, he willed his fortune to funding five Nobel Prizes, including one for peace, to be distributed each year on the anniversary of his death, December 10th. Interestingly, Nobel stipulated that the Peace Prize was to be awarded in Norway, rather than in his more militaristic homeland of Sweden, because the Norwegian parliament had become a leader in resolving global conflicts through mediation and arbitration rather than by force. To that end, Nobel stipulated that the Norwegian parliament should appoint a five-member committee to award the Peace Prize to the person or entity that, in the preceding year, “shall have done the most or the best work for fraternity between nations, for the abolition or reduction of standing armies, and for the holding and promotion of peace congresses.” And in 2017, that entity was ICAN, the International Campaign to Abolish Nuclear Weapons. ICAN organizes global days of action, holds public awareness-raising events, and engages in advocacy at the United Nations and in national parliaments. They work with survivors nuclear tests and of the U.S. atomic bombings of Hiroshima and Nagasaki, helping share their testimonies with the public and decision makers. Photo ICAN. For those of you haven’t heard of it, ICAN is made up of hundreds of partnering civil organizations in over 100 countries, who have worked together to draft the Treaty on the Prohibition of Nuclear Weapons. Together, they focus on spreading the word about the humanitarian costs of these devices — their catastrophic health and environmental consequences, which are indiscriminate and long term. 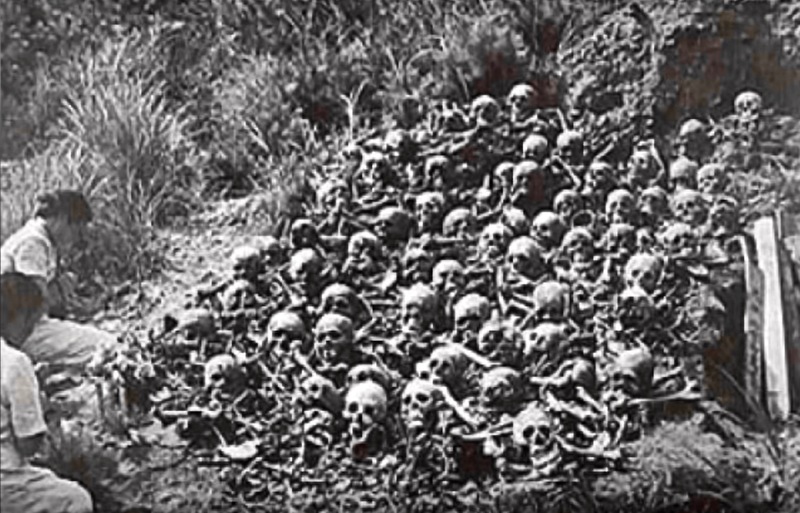 Check out ICAN’s video “Nuclear Weapons Are Not Someone Else’s Problem” for an introduction to their mission, and be prepared for a few disturbing images. Remember this? 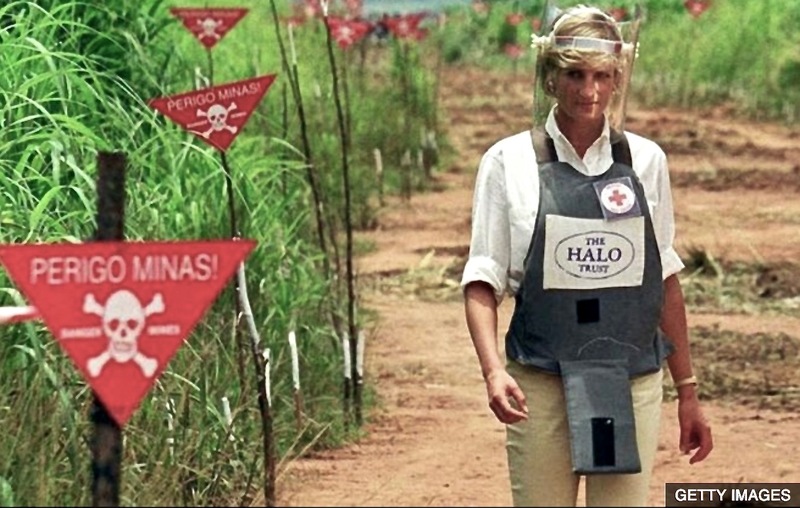 In 1997 just months before her death, Princess Diana worked with the Mines Advisory Group (MAG) to call for a ban on anti-personnel devices. Three months after her death, 122 countries signed the Ottawa Treaty to eliminate the production and use of landmines. 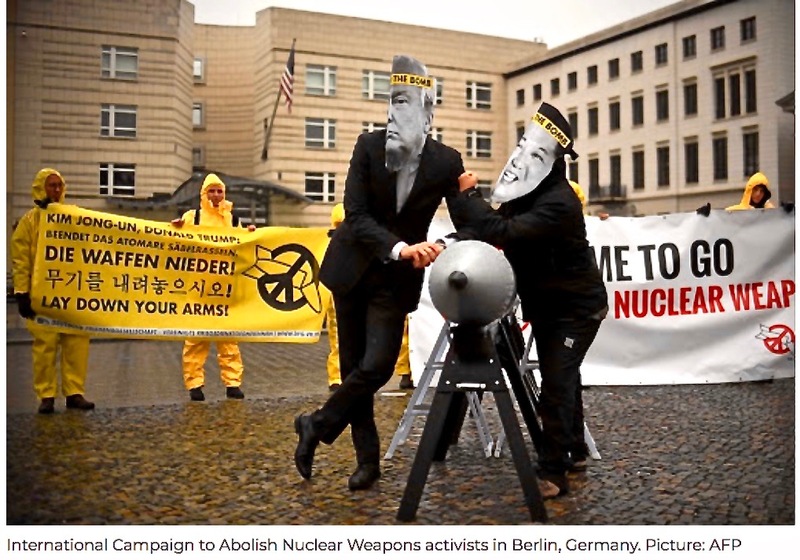 ICAN’s goal is to politically stigmatize nuclear weapons as a catalyst for eliminating them. In other words, ICAN wants to apply peer pressure and public shame at a global level to nations who still play power games using the threat of deploying doomsday devices. Think this concept sounds a little naive? Maybe, but just remember the success of the International Campaign to Ban Landmines, which to date has resulted in 157 countries destroying their stockpiles. Nine countries — The United States, Russia, North Korea, China, Israel, the United Kingdom, France, India, and Pakistan — together possess around 15,000 nuclear weapons. Russia comes in tops at 7,000 warheads, followed by the U.S. at 6,800. North Korea has less than ten. Photo ICAN. So what effect has ICAN had so far? On July 7, 2017, ICAN spokesperson Setsuko Thurlow presented the Treaty on the Prohibition of Nuclear Weapons at a meeting of the UN General Assembly. (To see a moving depiction of her speech, check out the video “If You Love This Planet.”) That day, two-thirds of the world’s nations signed the Treaty — the first legally binding international agreement to comprehensively prohibit nuclear weapons. But I bet you can guess who the holdouts were. Yep, the cast of characters currently populating our headlines today. Do we really want world leaders who toy with nuclear bombs and squabble over which one has the most firepower like unruly boys bullying each on the playground? The loser in this contest is the entire planet. Photo ICAN. And about that cast. I’ll be honest with you. Europe is scared. I’m scared. At this point, we have a number of world dictators (oops, I mean “presidents”) who clearly suffer from an intense sense of insecurity and inadequacy, a frighteningly short emotional fuse, and a deep need for worldwide recognition as the ultimate superpower. The idea that one of these chest-thumping, silver-backed gorillas might throw a tantrum and push the launch button on nuclear war should scare everyone. In response to Kim Jong-un’s New Year’s Day speech claiming that “the Nuclear Button is on his desk at all times,” Trump taunted his rival about the size of his … nuclear arsenal. He tweeted the equivalent of a nose-thumb, bragging that “I too have a Nuclear Button, but it is a much bigger & more powerful one than his!” I’m just waiting for the boys to unzip their flies and pull out a ruler. A phallic competition would be a helluva lot less dangerous than competing over nuclear capabilities. Then in February, Trump threatened via another schoolboy Tweet that if Russia didn’t stop modernizing its nuclear force, “we’re going to be so far ahead of everybody else in nuclear like you’ve never seen before.” Not to be outdone, Putin then upped the ante by bragging about new “invincible” cruise missiles with unlimited range, and then demonstrated their capability in a video showing a nuclear attack on Florida, Trump’s favorite playpen. And the playground antics continue as the nuclear arms race gains speed. If this childish grandstanding doesn’t stop, someone’s going to get hurt, and it will be us, the innocent bystanders. Photo clip from CNN. Those who survived the atomic bombs, like Setsuko Nakamura Thurlow (seen above), became one of the Hibakusha — “the explosion-affected people.” They were often shunned and unable to marry or to get jobs because no one wanted to employ or bear children with someone who might eventually die of radiation poisoning/cancer, or pass on genetic mutations to their children. Photo clip from AlJazeera America. 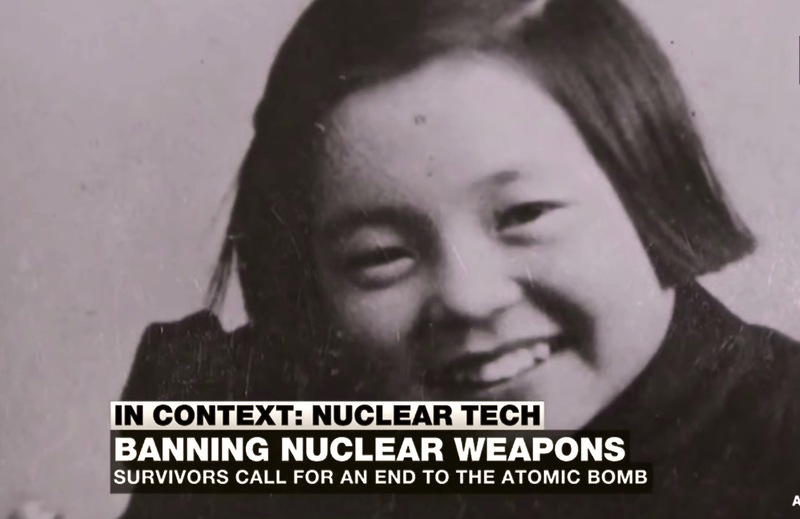 If you’re interested in knowing what it’s like to be on the receiving end of a nuke, take a few minutes to watch a video of the Nobel Peace Prize Award Ceremony in Oslo’s City Hall, and fast forward to 1:09:01 for Setsuko Thurlow’s speech. A 13-year-old survivor of the Hiroshima bombing, she was just a little over one mile (1.8 kilometers) from the center of the blast. Eight of her family members and 351 of her schoolmates and teachers perished that day. Listening to her speak, I had a sudden recollection from my own childhood, a memory that I’ve tried to suppress over the years. I was 12 years old, near Setsuko’s age, when my Social Studies teacher taught the lesson on the bombing of Japan. She explained that it was deemed a necessary evil in order to end the war early and thereby save lives. And then she showed us a film taken immediately after the bombing …. I sat horrified by images of charred skeletons and molten bodies stacked in smoldering piles. The walking dead wandered the streets, their skin sloughing off, the pattern of their vaporized clothes branded into their flesh like tattoos. Near ground zero, the shadows of people who’d been walking on the street were burned into the concrete. I still can’t get one visual out of my mind: a young girl, whose lips had been melted away, exposing teeth, gums, and jaws fused together in an unholy mass. The mushroom cloud over Nagasaki was photographed by Charles Levy from one of the B-29 Superfortresses used in the attack. 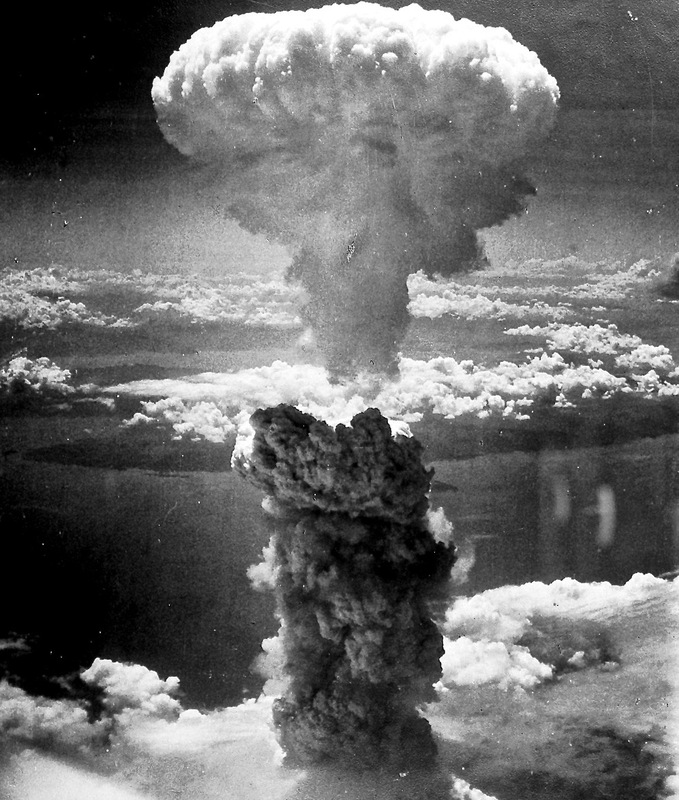 The necessity of the bomb is hotly debated by historians (See https://www.historyextra.com/period/second-world-war/should-america-have-dropped-atomic-bombs-on-hiroshima-and-nagasaki/). But as author Martin J. Sherwin notes, by dropping it, “the United States signaled to the world that it considered nuclear weapons to be legitimate weapons of war.” And that’s a responsibility we now have to live with … or die with. Photo credit: U.S. National Archives and Records Administration. I went home sick that afternoon, unable to stop crying. It was days before I could attend school again. I remember talking to my grandfather about it. He’d served as a U.S. Navy signalman in the Pacific arena and had barely survived the sinking of three different ships he’d been assigned to. He’d never had a night’s sleep without screaming himself awake from nightmares induced by post-traumatic stress disorder. But in his mind, nothing he’d endured justified the fate suffered by the Japanese. A crowd processes down Karl Johan’s Gate, the main shopping street in Oslo and the traditional route for the Nobel Peace Prize processional. As Setsuko Thurlow says, “These weapons are not a necessary evil; they are the ultimate evil. Every second of every day, nuclear weapons endanger everyone we love and everything we hold dear.” Her words kept spinning around in my head as Matthew and I joined the Peace Prize March the evening after the award ceremony. And clearly, nuclear anxiety occupied the minds of many Oslo residents, because the crowd of 4,000+ was intense and somber, as if a mushroom cloud loomed overhead. It’s doctors, nurses, and rescue workers who care for the dying and clean up the mess in wartime. Unfortunately, nuclear weapons are typically aimed at urban centers, meaning the most advanced medical facilities will be obliterated. 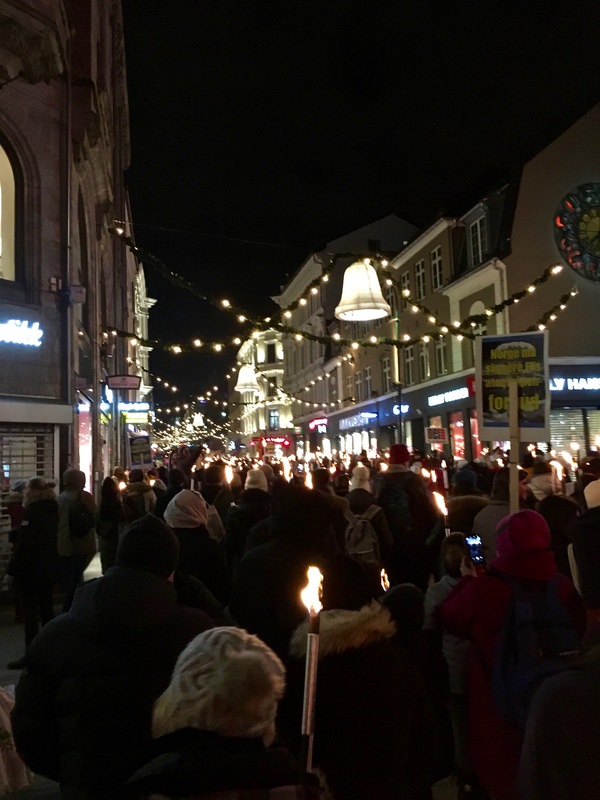 Various musicians and speakers addressed the masses and began the chant of “ICAN, We Can, Ban the Bomb” as everyone lit their torches and began the solemn processional. 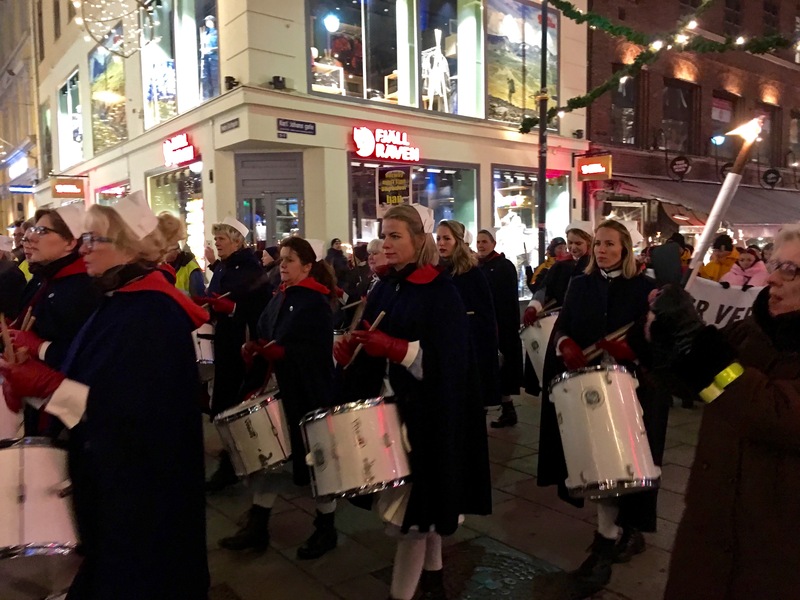 A drum chore made up of female nurses and rescue workers kept time for the march and reminded us all that the impetus for ICAN came out of the International Physicians for the Prevention of Nuclear War (IPPNW), who themselves won the Nobel Peace Prize in 1985. 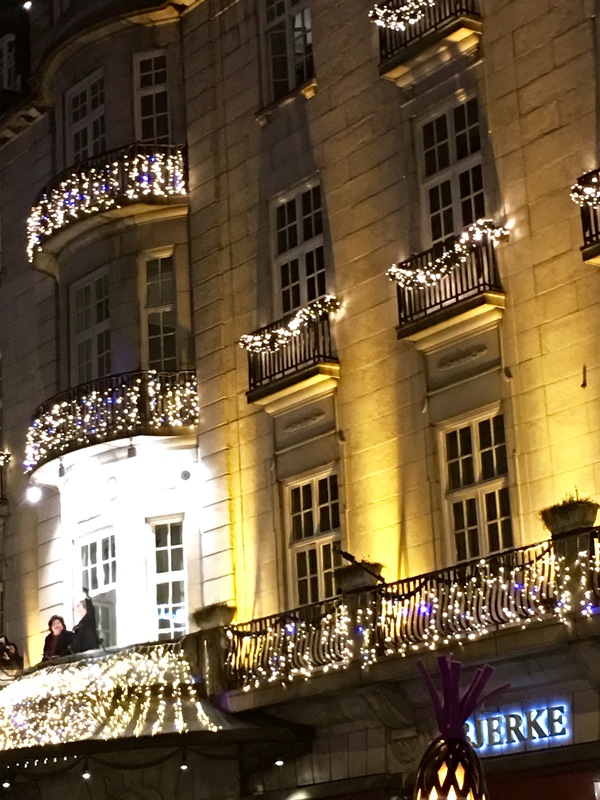 Setsuko Thurlow and Beatrice Fihn wave from the balcony of Oslo’s Grand Hotel. If you’re interested in helping to spread this message, take a look at the websites of ICAN and IPPNW. You’ll see that one of the best ways to shut down the arms race is to shut down the cash supply. Refuse to put your money in financial institutions that fund the production, maintenance, and modernization of nuclear weapons. Check out Don’t Bank on the Bomb for a list of companies in your country who fund nuclear weaponry. You have more power than you realize to bring about peace and a future free of nuclear nightmares. Thank you for another wonderful article, Kimberly! Missing you and hoping that you and Matthew are doing well in this time of transition. Big hugs! Thanks, Mary Ann, glad you enjoyed it. We’re chugging along — hope you all are doing well, too! Maybe we’ll get a chance to see you in Copenhagen before our move back to the States. Hugs to you too!